Geneva Naturals Advanced Anti-Aging Retinol Cream is a great product for helping the skin with hydration and reducing the signs of fine lines and wrinkles. The texture and feeling of this retinol cream are super thick and rich feeling on the skin, and as it dries down, it leaves a cooling sensation on the skin which immediately makes your skin feel nice and plump. This product is really easy to apply with its pump applicator, and even though it’s a thick cream, it spreads out nicely on the skin and you don’t need too much product to cover your face and neck. After using Geneva Naturals Advanced Anti-Aging Retinol Cream for a short period of time, I already saw improvements in my skin. I noticed my skin was feeling more plump and hydrated than normal. After using this retinol cream for a longer period of time, my fine lines and wrinkles started to smooth out, and my skin’s overall tone and texture was improving. I was really impressed! Overall, Geneva Naturals Advanced Anti-Aging Retinol Cream works really well to help smooth out the fine lines and wrinkles on the skin. The texture and feeling of Geneva Naturals Advanced Anti-Aging Retinol Cream are thick and kind of luxurious feeling. When you apply it to the skin, it had a cool burn, icy hot type of feeling but it feels really nice and not too intense. 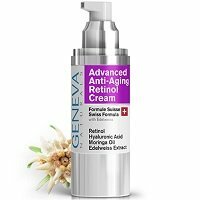 Geneva Naturals Advanced Anti-Aging Retinol Cream is really easy to apply; it comes in a bottle with a pump which makes application super easy. Even though this cream is on the thicker side, you don’t need too much product to cover your face and neck, about 2 pumps will do. Because Geneva Naturals Advanced Anti-Aging Retinol Cream is a thicker cream, it takes the better part of a minute to dry down. I would say about 45 seconds until it’s totally dry. After using Geneva Naturals Advanced Anti-Aging Retinol Cream, I noticed my skin was looking and feeling tighter and more plump. My skin also felt and looked a lot more hydrated and moisturized. After using Geneva Naturals Advanced Anti-Aging Retinol Cream for a longer period of time, I noticed my skin was definitely improving. My skin was looking and feeling plumped up, and my fine lines and wrinkles were looking smoothed out. I also noticed this product was helping with the overall tone and texture of my skin. Geneva Naturals Advanced Anti-Aging Retinol Cream is full of a lot of interesting ingredients, including coconut oil, seaweed, and moringa oil. Coconut oil is known for its moisturizing capabilities, which can help with antiaging and plumping up wrinkles. It’s also full of good properties such as antifungal, antimicrobial, and vitamin E. Coconut also contains proteins that help keep our skin cells healthy and young. 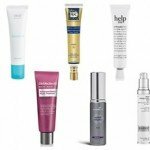 Seaweed is an interesting ingredient that can be found in a lot of different skincare items. 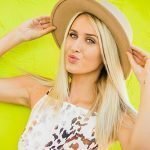 Seaweed is especially good for anti-aging because it has many antioxidants, as well as can help the skin fight sun damage, keep the skin hydrated, and increase the skin’s elasticity. Moringa oil is good for many skin issues, but especially great for helping nourish the skin and fighting off free radicals from creating damage on the skin. The cost of Geneva Naturals Advanced Anti-Aging Retinol Cream is $29.99 for 1 oz of product. 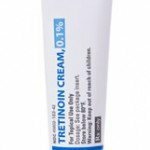 This is about an average to slightly above average price for a retinol cream. There is a 30-day money back guarantee for Geneva Naturals Advanced Anti-Aging Retinol Cream. To buy Geneva Naturals Advanced Anti-Aging Retinol Cream, click here. Ingredients Coconut oil is great for increasing moisture in the skin.